Dal Afghani is for days when you are just tired of making dal the usual way. One such day, I ended up making this delicious version of plain old daal. While pulses are not natively grown in Afghanistan, this recipe takes the best of both worlds and makes a yummy dish out of it. Dal Afghani is a dal cooked in broth (mutton or vegetable) along with cumin and red chillies. Heat oil, add onion, garlic and ginger and saute till onions get translucent. Add turmeric, ground cumin, red chilli powder and fry for another minute or so. Add the masoor dal (red lentils) and broth (mutton or vegetable broth) and let the mixture come to a boil. Cook the mixture till the lentils are tender. You can use a pressure cooker to cook the lentils. 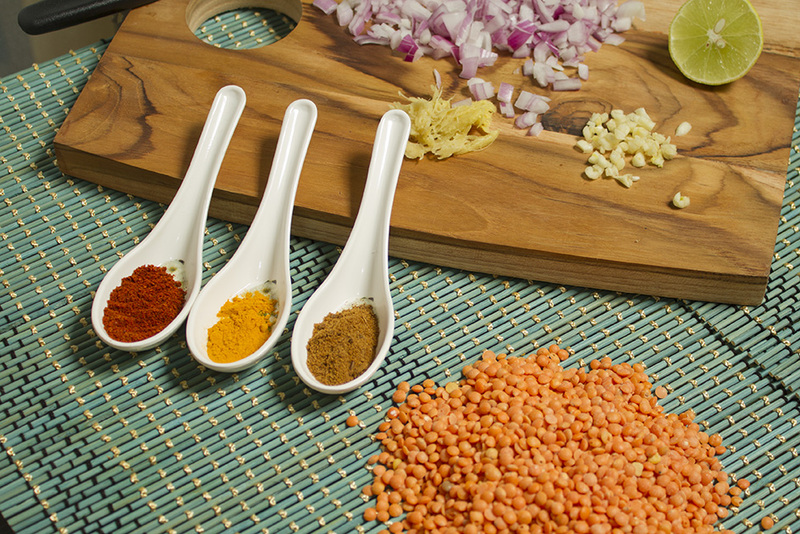 When cooked, give a thorough mix to the dal, remove from heat, add lemon juice and salt. Serve this dal with a topping of plain yoghurt, garnished with fresh green coriander on the side of Nan or Pita Bread or with steamed rice. Looks awesome. Will try cooking Dal Afghan this sunday to give a delicious surprise to my wife! Thanks, Do let us know how it turned out.